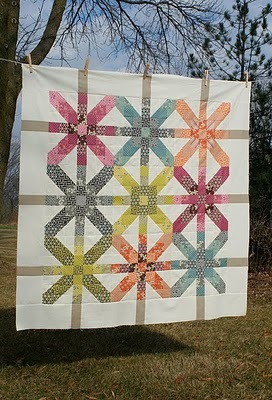 so glad you have started a quilt blog. hope you find it to be a source of encouragement as you document your art in fabric. relax, have fun, create beauty, share it. welcome to Blogland. Nice to meet you,and see your quilt. Good luck with your new blog! I started mine last summer and just love it!! Your quilt is beautiful!! Your fabrics are wonderful! I don't think I've ever seen this pattern.